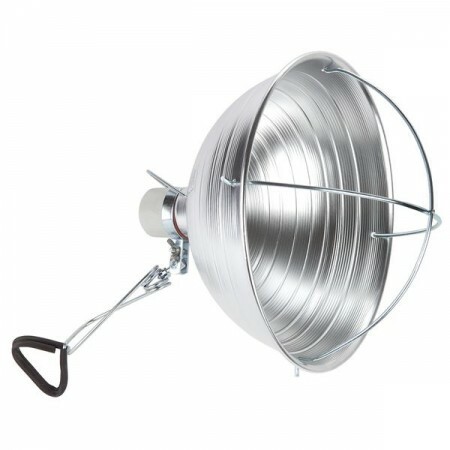 This multipurpose 10 1/2 inch Brooder Clamp Light gives you the light you need, wherever and whenever you need it. The spring steel clamp, covered in a scratch resistant vinyl sleeve, in combination with its adjustable ball joint, holds the light securely to virtually any surface and allows it to be pointed right where it's needed. The 10 1/2 inch Brooder Clamp Light, with its Porcelain Ceramic Socket, will handle up to a 300W Med Screw Base Bulb (bulb not included). It has a 6 foot 18/2 SJT cord.